Oops! It seems I have upset William Derby (again!) and this time he may have a point. I must accept that the statement I have made below, that ‘York racecourse is making a profit on entry fees alone’, is factually incorrect. It seems that, while I was correct that some racecourses had vociferously objected to BHA proposals to put a cap on owners’ contributions to individual races at 75%, it was eventually agreed that owners’ contributions must not exceed 90% of any total prize fund. Furthermore, it was also ruled that total prize-funds should not exceed the advertised total amount and so, where entry fees exceed 90% of that sum, any surplus must be returned, first to those eliminated by ballot from the race and then, if a surplus still remained, pro-rata to other contributors. In the case of the DBS Premier Yearling Stakes, York actually made an executive contribution of £40,000, £10,000 more than the minimum required, and so owners only contributed 86.66% of the total prize-fund. I must, therefore, apologise to York for my error but it still doesn’t make me feel much happier about the principles of running ‘Sales’ races or other races where the owners are, in the main, running for their own money. And it also raises the question of what exactly constitutes an ‘executive’ contribution from a racecourse these days and where that money comes from but I’ll save that for another day. Maybe the next Klarion. The prize-money at this year’s York Ebor Festival is really fantastic, with no race worth less than £50,000, and that was certainly an incentive to me to make entries there. But, as is so often the case with racecourses these days, there is, at least, one fly in the ointment. The first race on today’s card is the DBS Premier Yearling Stakes and it is worth a total of £300,000 with £147,540 going to the winner. But a glance at the conditions reveals that owners have contributed no less than £302,000 to enter this race (plus all the surcharges and add-ons). So York racecourse is making a profit on entry fees alone before you account for contributions from the levy, media rights and sponsorship. And that makes me wonder, what is the sponsor, DBS (Doncaster Bloodstock Sales), putting into this race and where is their contribution going? 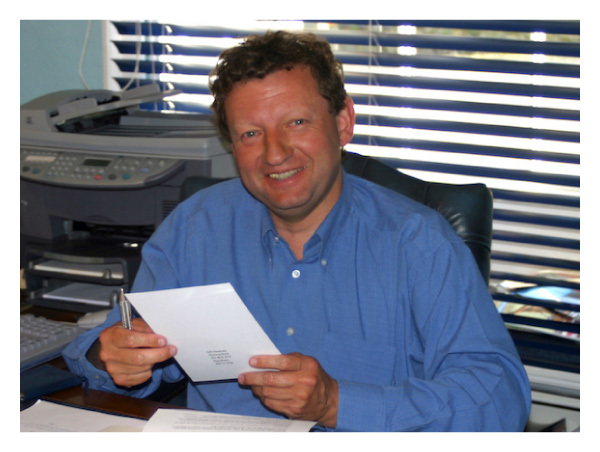 William Derby – the chief executive and clerk of the course at York – was one of those who got up in arms about BHA proposals to put a cap on owners’ contributions to races at 75% and, when I told him that I thought he was wrong, he got quite upset and accused me of a bias against York. Come on, William, they weren’t trying to set it at 10% or even an astronomical 25%. 75% contribution from owners would, to my mind, be ridiculous and, when it gets to over 100%, it is daylight robbery. Don’t get me wrong, I’d love to win the money for my owner with Delizia and, if I do, I’ll be very grateful to all those other owners who stumped up to put this race on. All in all, a very successful sale at Deauville with a total of five purchases which is one up on the same time last year. But those who are trying to portray me as the new Jack Berry should note that my yearlings, so far, are by Dalakhani, Manduro, Motivator, Rock of Gibraltar, and Henrythenavigator. And all from middle-distance families. They are more likely to be winning the 2017 Queen’s Vase than the 2016 Brocklesby but I can’t, and won’t, change my passion for middle-distance horses or my desire to acquire pedigrees with some hope of Classic success. That said, I am off to Doncaster next week where, last year, I did acquire the Brocklesby winner and I will be looking for a different type of horse there. I’ll be looking for a different type of animal there but I still won’t compromise on pedigree too much. There needs to be some class in there. We kick off at York today with seven runners and I’m hoping for a busy, and fruitful, week. Much has been made, particularly in the media, of our disappointing record at York in the last few years so it is very interesting to note that I am still 7th in today’s Racing Post, York, (2011+) trainers table from the 47 trainers with runners today. I don’t deny that the strike rate of 6% is way below that which I would normally be aiming for but it is the same as Richard Fahey’s (2nd in that table) and Tim Easterby (5th). So what is all the fuss about? It can only be that I set a much higher standard in years gone by and the drop from those levels puzzles me as much as anyone. Richard Hughes wrote a very interesting piece at the weekend about the tendency for races to be run up the middle of the track at York in recent years and it is possible that our downturn in form there coincided with that change. Richard doesn’t believe that that has anything to do with the ground and suggests that the riders have collectively opted to come to the middle to open up the races and remove the advantage previously held by front runners who hogged the rail. Interesting? I wonder how many of those front runners were trained by M. Johnston. Maybe it is time for us to try and turn the clock back. Another frustrating evening at the sales. I simply haven’t got enough money to buy the horses that I want. I did push the boat out as far as I could and bid 200,000 euros for a lovely son of Acclamation but he was knocked down to Al Shaqab Racing for 240,000 euros. I did, however, secure lot 131, a cracking son of Rock of Gibraltar for 100,000 euros. As a sire Rock of Gibraltar has never reached the heights achieved by the likes of Shamardal or Dubawi but he is capable of getting high class horses and, when combined with a mare that has already produced a Group 1 winner by him, you get exactly the kind of horse that can slip through the cracks, satisfy my desire for high-class pedigrees, and fall into my price bracket. The dam, Princess Sofia, has had four previous foals of racing age and three of those were by Rock of Gibraltar. Two of those have run. The first, Prince of Sofia, won three times in France and achieved a rating of 91 (not bad) but the other was Prince of Gibraltar. His three wins included the Criterium de St. Cloud (Gr.1) and the Prix Greffuhle (Gr.2). He was also placed in the Grand Prix de Paris (Gr.1) and the Prix du Jockey Club (Gr.1). Just the sort of thing I’m looking for and, with the current exchange rate, it hopefully won’t be too long before he finds an owner. The chaos of the sales season, which coincides with the busiest time of year for racing, kicked off for me in Deauville yesterday. The Arqana catalogue is improving year on year, both in terms of pedigree and the quality of the individuals, so I found myself flat out in the ring with 57 of the 81 lots offered yesterday evening making my list. But, unfortunately, it was very difficult to buy with most exceeding my budget and/or the value I had put on them. We did, however, acquire two yearlings from the first session. Lot 19 was a colt bred by Johnston Racing out of our mare Attima by Dalakhani and consigned for us by Haras du Petit Tellier. He was one of only two Dalakhanis in the sale and arguably too immature to be sold so early in the year but my principle objective was to value him for any owner that would like to have him with me and, having offered him without reserve, I bought him back for 20,000 euros. Arqana listed him in their results as ‘bought in’ and I have now been inundated with people trying to buy him but, as with all the yearlings I purchase, he is only available if remaining in training at Kingsley Park. My other purchase, Lot 88, also has a Johnston Racing connection as she is out of the mare Lady Eclair that I trained to win six races for Martin Lightbody. This filly is very good looking and has a lot of her mother about her but she is by Henrythenavigator and, frankly, he has gone right out of fashion. Hence the price tag of just 30,000 euros. 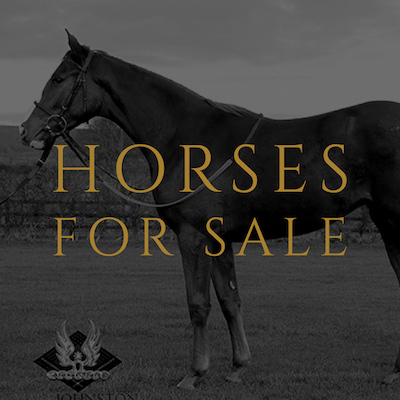 Further details of both horses can be seen here on our ‘yearlings for sale’ page. I’ll be back in the ring this evening trying to add more potential stars to the Kingsley Park juvenile team for 2016. I’m hoping to depart for Deauville this morning for my first yearling sale of the year. The weather, however, is extremely dodgy for flying. There is heavy rain and thunder sweeping across the channel into southern England and it will continue northwards later. It could be bad and, at home, we are preparing for the forecast of a month’s rainfall in the next 48 hours. Drains and guttering are being checked and we will be battening down the hatches. Racecourses around the country will be preparing too and at Doncaster, where the ground is currently described as ‘Good-Firm’ (the optimum ground for Flat racing under BHA guidelines) they are preparing by ………. you’ve guessed it ………. WATERING!